Paper is painful to organize and comes at a cost, not just in terms of printing, but also the storage and the cost to the environment. In an ideal world, we're sure that every practice would like to be paperless one day - however we understand that switching processes is never easy. As a veterinary practice, you're quite likely to go out of your way to make customers happy, and efforts such as reminders and birthday postcards don't go unnoticed. It's the small things that make your vet practice unique, and changing those processes is never going to be easy. It's important to understand that change is healthy, and in most circumstances, necessary to keep up with the market's demands. We've been bound to paper in all aspects of daily life, but releasing those ties is not as hard as you may have thought. Dr Andrea Kimler, owner of 313Vets said "Transitioning from our paper based systems to all electronic takes a mental leap...The key is to make a decision and then stick by it which is what we have done." If you're ready to start looking at changing to a paperless practice, look to the systems that can help automate this for you. At ezyVet, we take pride in the tools that we offer our clients to help them operate a paperless vet practice. 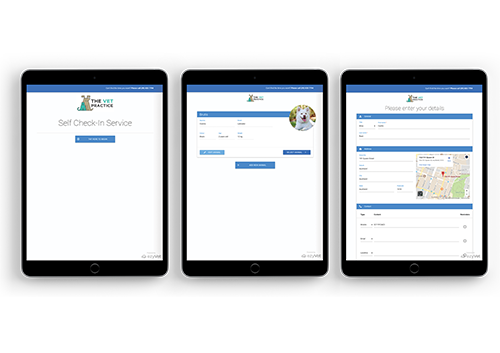 As a fully paperless company ourselves, we are empowering the veterinary industry to follow suit. 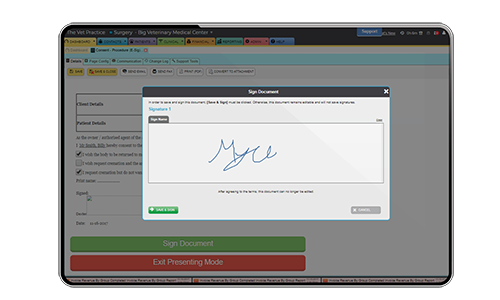 Using electronic signature capture, SMS, email, integrated partners and more, ezyVet users benefit from a cloud based platform that lets their practice to function in a completely paperless environment. Electronic signature capture relieves the need to print forms and quotes. Your client can also sign into ezyVet's Customer Portal and a copy of the document can be emailed directly. This is a way to present an electronic form to a client in a neat and editable format. Clients will be able to enter or select data from the editable fields and submit the form electronically. Email, E-fax and 2-way SMS allows your practice to automate direct communication with your clients. The convenience of being able to confirm or cancel an appointment via SMS takes customer service to the next level. 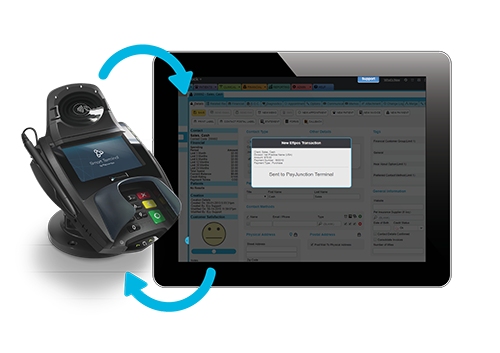 ezyVet's integration with PayJunction allows customers to sign for payment electronically, relieving the need to print receipts. Read more about this integration here. ezyVet's Self Check-In Kiosk not only relieves traffic flow from your busy reception area, but can also be used to register details of new customers directly into ezyVet. 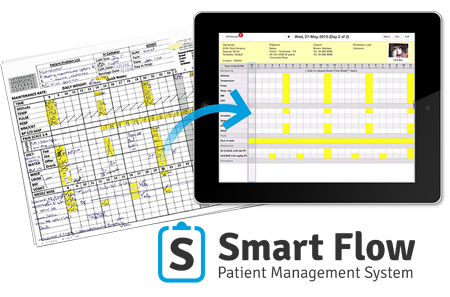 Say goodbye to manual data entry! 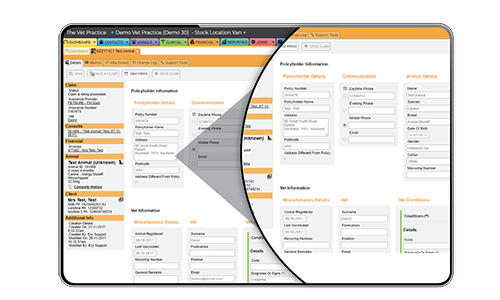 With ezyVet's integrated partners, save time and increase efficiency by having lab forms filled out and results added to clinical records automatically. Say goodbye to filing! 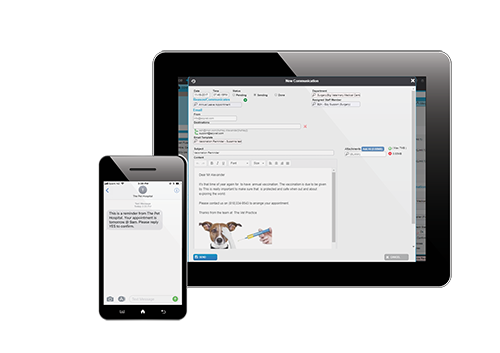 Using Drag and Drop, attachments can be uploaded directly to the contact, animal or clinical record in ezyVet. Replace your white board with a TV screen and your treatment sheets with an electronic format viewed from any computer and iPad. Manual insurance claims are a thing of the past with ezyVet's E-Claims module. Create and send insurance claims directly to your supplier within ezyVet. 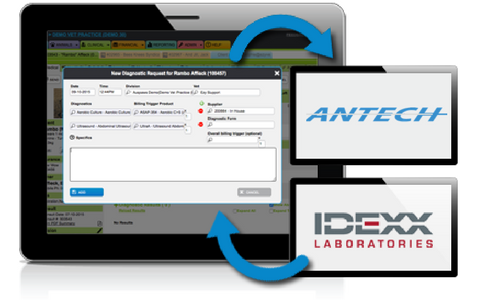 "When we decided to go paperless, we did our research on all available practice management. ezyVet was the one software that offered the most of what I needed." Rasha Cameau, Practice Manager of Miami Shores Animal Clinic. 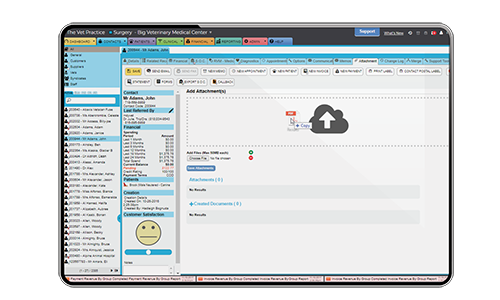 If you are looking for a solution that can help your practice become paperless, consider ezyVet's beautiful veterinary software.